Not since Pokemon Go! or fidget spinners has something created as much buzz as CBD is currently generating. The popularity of CBD has skyrocketed in the last few years, making industry giants like Coca-Cola take notice and even consider joining the industry. 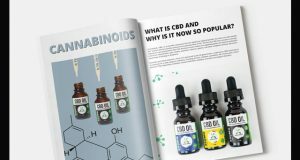 Stigmatized as a form of recreational drug up until a few years ago, … Continue reading What Is CBD and Why Is It Now So Popular?